There are a lot of ways to answer this question, but the most fundamental answer is simple: go when no one else would, and you’ll see what no one else will. Taken on the Gulf Islands National Seashore in Florida, with no one else around. When it comes to photography, most people just show up and take whatever they happen to see when they get there. Sometimes people get lucky. I’ve gotten lucky plenty of times. But my best images – my most compelling work – comes from outings when I went when no one else would. Typically, this involves early mornings. I am not a morning person. This can be compounded by the seasons. For example, in Japan, there is no daylight savings time like in the United States, so morning comes very early during the summer months. Sunrise can be as early as 4:30am, which means you may need to get up at 3:00am to get somewhere interesting. But when you get there, and see an incredible sunrise with no other person in sight, and get the shot that you’ve been dreaming of for months or even years, you will know it was worth it. A very early, solitary sunrise over rice paddies in Chiba Prefecture, Japan. Go when no one else would, and you’ll see what no one else will. 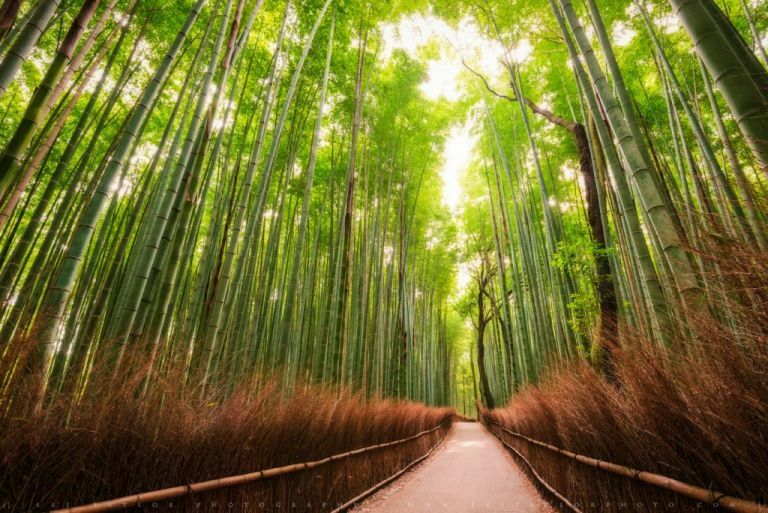 During one of my trips to Kyoto, I visited the famous Bamboo Forest, and took one of my favorite images there, without a single person in the shot. I didn’t have to mask or clone stamp anyone out. How did I avoid such edits? By being there by 5:00am. I enjoyed a solid hour of very few passersby, shooting to my heart’s content without getting in anyone’s way (or anyone getting in mine). Early morning in Kyoto’s famous bamboo forest, with no one in sight. This adage doesn’t just apply to the time of the day – it can also apply to the time of the year. Popular locations are naturally going to be packed during the months most convenient for travel (typically the summer). Even at early hours, you can expect lots of photographers at certain destinations. If you can go during the down season, you’re less likely to be left competing with other photographers, and you may even see sights others never will. 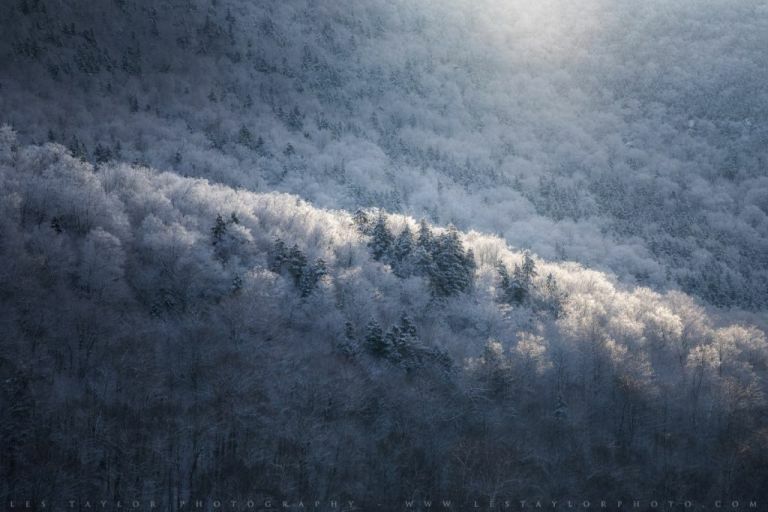 Consider winter in the White Mountains as an example. There aren’t a lot of people who want to get up before 5:00am and drive on icy roads just so they can go hike in the snow and freezing cold. (I am not one of those people either, by the way.) Nevertheless, those who do are at times rewarded with sights that few others will ever see. Frost covered trees, fresh snow packs, and much more can be enjoyed if you’re willing to make the journey. Of course, it’s not always possible to do what I’m talking about, for a variety of reasons. Anyone who knows me also knows that I love cherry blossom season in Japan. In Tokyo at least, there are few places you can go that no one else would, regardless of the time of day. Due to the sheer volume of people, there’s always someone there if it’s the kind of place any normal person might want to be. During cherry blossom season, this means you will necessarily be fighting with crowds. Even at my favorite secret spots, there will inevitably be other people around. A beautiful view of sakura in Tokyo. Not seen: me stuffed between 500 other people. So, yes, this adage isn’t the only aspect of photography worth thinking about. But it is an important one. Taking beautiful photographs involves more than just showing up. You need to choose not simply where you will be, but also when you will be there. Be willing to go the extra mile. As with many things in life, you will find that relatively few others are willing to go it with you. We are once again on the cusp of another new year, which means it’s time to choose my top 10 images taken in 2018! I hope you’ll enjoy these images, and feel free to share your own favorites in the comments! A beautiful sunset on Highland Lake in New Hampshire during the frigid cold snap of January 2018. 0F and a -20F windchill when taking this shot. Waves roll in along the white sand beaches of the Gulf Islands National Seashore near Pensacola Beach, Florida. A beautiful sunset develops in the sky after hurricane Michael makes its way through the Gulf of Mexico. Taken on Gulf Islands National Seashore near Pensacola, Florida. A burst of sunset light illuminates autumn colors in the Great Smoky Mountains National Park, Tennessee. 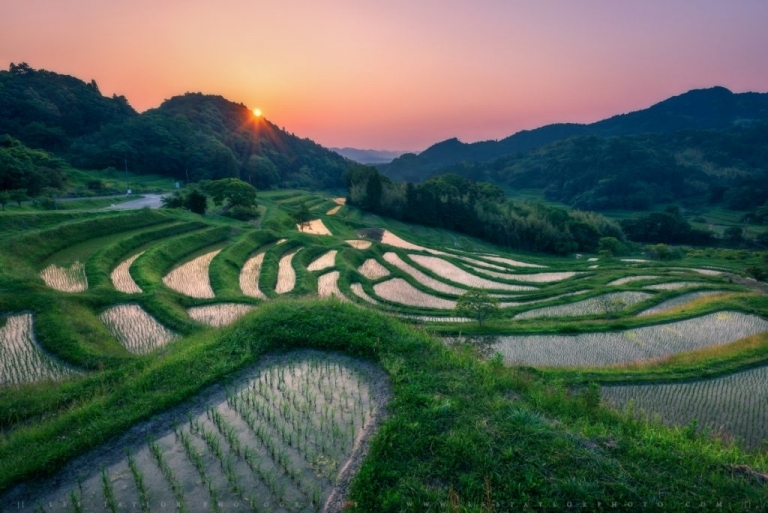 Many travelers to Japan take trips to popular destinations like Tokyo and Kyoto, and not without reason – these areas boast some of the most beautiful and easily accessed locations in the country. Some feel that popular places are not worth visiting and photographing since they’ve already been photographed repeatedly, but I would not agree with that sentiment. Popular locations become popular for a reason, and every photographer is going to offer a unique take on the location during their visit, if for not other reason than differing conditions. At the same time, Japan boasts a number of spectacular hidden gems that relatively few visitors will experience. While these may be off the beaten path a bit, they are just as much worth the visit if the itinerary allows for it. One such place is the Kurashiki Bikan Historic Quarter in Okayama Prefecture, Japan. What the area lacks in size, it makes up for in beauty and history. Hundreds of years ago, the Bikan Quarter was an area used for storage of important commodities such as rice. In fact, these storage buildings were so central to the area that the city’s name – Kurashiki – contains the word for them in Japanese (kura). The canal which exists there today was originally built to allow for the easy passage of supplies. Today many of these old storehouses are maintained in the Kurashiki Bikan Historical Quarter, though they now contain shops, restaurants, or museums rather than commodities. The canal, which once was important for transport, is now maintained as a way to take a short tour through the area on an old style boat. Both sides of the canal are lined with weeping willows and other beautiful plants, which make a boat ride down it all the more pleasant. One of my favorite parts of this historical quarter is that all the power lines have been put underground or otherwise hidden from view, so that the area maintains the feel of old Japan. Buildings are often very close to one another in Japan by necessity, so there are typically power lines zigzagging in all directions wherever you go, but the good folks who maintain this area wanted to give it a greater ambiance by avoiding this visual distraction. Along with the old style lanterns around the canal, a visit to the Bikan District is like taking a trip back in time. Some of Japan’s hidden gems can be difficult to access if you don’t have a vehicle or read Japanese, but that is thankfully not the case with the Kurashiki Bikan Historical Quarter. Okayama Station is situated along the main shinkansen (bullet train) line connected to Tokyo, and it is only a short train ride from there to Kurashiki Station. From this station, it’s a fairly brief and straightforward stroll to the district. If you’re planning a visit to Japan and want to get off the beaten path a bit, I highly recommend paying a visit to the Bikan District. It’s the perfect opportunity to learn some of Japan’s history and experience the past at the same time. And you’ll probably pick up some great souvenirs along the way! Travel Tip: stay around until dusk and blue hour. Although the crowds are typically light anyway, they thin out almost entirely at this time of day. As the lights and lanterns come on for the evening, the atmosphere in the district becomes all the more stunning. This year, I held my first fall workshop in the Great North Woods at the beautiful Tall Timber Lodge in Pittsburg, New Hampshire. Tall Timber is a lovely rustic lodge with various properties surrounding Back Lake. The lodge boasts superb amenities and the area’s most delicious restaurant, and is surrounded by the stunning fall foliage of the Great North Woods in autumn, making it the perfect place to host this kind of workshop. Below are a few of my images from the 2018 workshop. The group had a great time and got to some great color throughout the weekend. I’m already looking forward to next year’s workshop!